HomeNew releasesLaphroaig Cairdeas Fino to go on sale on 11th June! 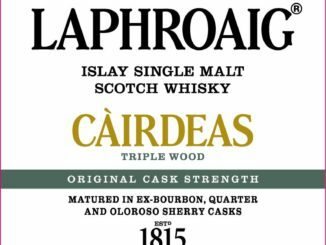 Laphroaig Cairdeas Fino to go on sale on 11th June! This year’s Laphroaig Cairdeas will go on sale on Monday the 11th June. 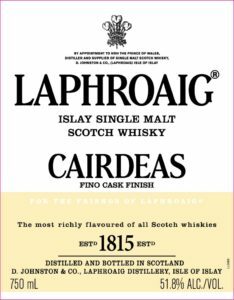 Laphroaig announced today this year’s Cairdeas will go on sale on their webshop on Monday the 11th June 5 pm BST. Laid to rest in Warehouse 8 and 10, Cairdeas Fino showcases a special double maturation in first fill bourbon casks then Fino Sherry Casks. Notes of toasted almonds, dried fruit and sea salt perfectly complement Laphroaig’s signature peaty flavour. Winter Storm back in stock at Glenfiddich.com! Jura is announced as the 2nd release in Douglas Laing’s Coastal Collection! 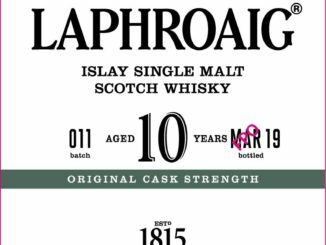 Laphroaig 10 yo Original Cask Strength Batch 011!